Apperson participates in several “painless” fundraisers – things that you are already doing that can earn money for our school! 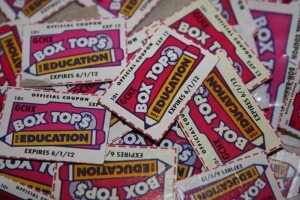 Box Tops for Education – www.boxtops4education.com Collect Box Tops from hundreds of products and earn money for our school. There will be two collection drives, one if the fall and one in the spring, but you can continue to submit coupons year round. iGive – www.igive.com – You shop. Your charity gets money. For free. Shop at 1,900+ top-notch online stores. The mall includes: Walmart, Pottery Barn, Staples, Petco, Expedia, Best Buy, QVC and many more. Best of all, up to 26% of your purchase at each store is donated to you favorite worthy cause. Many of these contributions may even be tax-deductible. Sign up online and change online shopping for good! Amazon Smile – www.smile.amazon.com You can earn money for Apperson when you shop at Amazon. 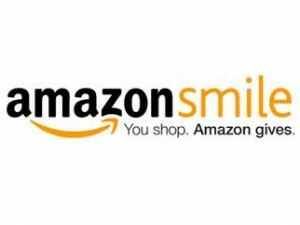 Just begin your purchase at Amazon Smile and designate Apperson as your charity of choice. Ralphs Community Contribution Program – Earn money for Apperson by simply using your Ralphs rewards Card. You must re-register every year on or after Sept. 1st. Visit www.ralphs.com and “sign in” to your existing account, or register by clicking “Create an Account” – once you are signed in, go to “My Account” and then click “Community Rewards” and select Apperson Street Elementary PTA – SM287. It’s easy- shop, swipe your card & earn! Shoparoo – Download the Shoparoo app for your smart phone or tablet, snap pictures of your shopping receipts, and earn money for Apperson! Nothing special to buy, no coupons to clip! Restaurant Nights – Socialize with other Apperson families and the restaurant will donate a percentage of your bill to our school! 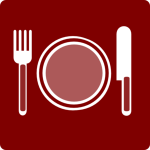 Previous restaurant nights have been held at Panda Express, Subway, Joselito’s, The Habit, Guido’s Pizza, Penas Tacos, etc. 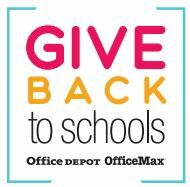 Office Depot/Office Max – www.officedepot.com/5percent Simply make a purchase of qualifying school/office supplies, tell the cashier you would like to support Apperson Street Elementary School (70015605) at checkout and Apperson will receive 5% back in credits for FREE supplies!